"Who hasn’t walked through the side streets of Paris and passed that picture-perfect boulangerie, that amazing fruit-stand, that gorgeous grocery, and not fantasized how it would be actually to be a Parisian - if only for a short while? Paris Perfect is the perfect fulfillment of those dreams." 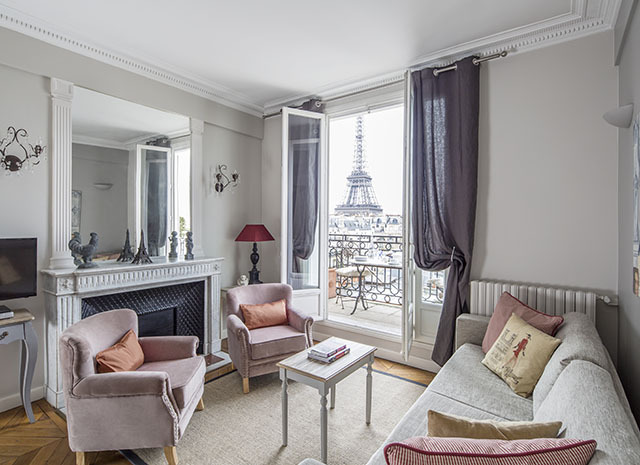 Paris Perfect, founded in the late 1990s, is a luxury apartment rental and concierge service with an unmatched portfolio of some 90 properties in Paris, mostly concentrated in the very desirable 7th and 6th arrondissements. They have all been either personally designed, renovated or vetted by American Francophile and Paris Perfect founder Madelyn Willems. Staying at a Paris Perfect apartment is a much desired alternative to staying at a luxury hotel in Paris. Each is equipped with Paris Perfect branded linens, soaps, amenities and more. It also offers concierge services and special offerings such as private cooking classes, market tours, French language courses and more, ensuring guests have the ultimate Parisian experience. Like its Paris counterpart, London Perfect doesn’t just rent out someone’s apartment because the owners went away for the weekend, leaving their robes hanging on the bathroom door. Not at all. These are elegant apartments, mostly in Kensington, Knightsbridge and Chelsea, immaculately and tastefully furnished, fitted out with every possible appliance and amenity – complete with London and Paris Perfect’s signature linens, towels and refined character. This is not just staying in London. This is living the best of London.